The recently announced World Food Programme (WFP) partnership with Palantir, IRIN’s article about it, reactions from the Responsible Data Forum, and WFP’s resulting statement inspired us to pull together a Technology Salon in New York City to discuss the ethics of humanitarian data sharing. Our lead discussants were: Laura Walker McDonald, Global Alliance for Humanitarian Innovation; Mark Latonero, Research Lead for Data & Human Rights, Data & Society; Nathaniel Raymond, Jackson Institute of Global Affairs, Yale University; and Kareem Elbayar, Partnerships Manager, Centre for Humanitarian Data at the United Nations Office for the Coordination of Humanitarian Affairs. We were graciously hosted by The Gov Lab. What are the concerns about humanitarian data sharing and with Palantir? Some of the initial concerns expressed by Salon participants about humanitarian data sharing included: data privacy and the permanence of data; biases in data leading to unwarranted conclusions and assumptions; loss of stakeholder engagement when humanitarians move to big data and techno-centric approaches; low awareness and poor practices across humanitarian organizations on data privacy and security; tensions between security of data and utility of data; validity and reliability of data; lack of clarity about the true purposes of data sharing; the practice of ‘ethics outsourcing’ (testing things in places where there is a perceived ‘lower ethical standard;’ and less accountability); use of humanitarian data to target and harm aid recipients; disempowerment and extractive approaches to data; lack of checks and balances for safe and productive data sharing; difficulty of securing meaningful consent; and the links between data and surveillance by malicious actors, governments, private sector, military or intelligence agencies. Palantir’s relationships and work with police, the CIA, ICE, the NSA, the US military and wider intelligence community are one of the main concerns about this partnership. Some ask whether a company can legitimately serve philanthropy, development, social, human rights and humanitarian sectors while also serving the military and intelligence communities and whether it is ethical for those in the former to engage in partnerships with companies who serve the latter. Others ask if WFP and others who partner with Palantir are fully aware of the company’s background, and if so, why these partnerships have been able to pass through due diligence processes. Yet others wonder if a company like Palantir can be trusted, given its background. Why were we surprised by this partnership/type of partnership? Our first discussant asked why this partnership was a surprise to many. He emphasized the importance of stakeholder conversations, transparency, and wider engagement in the lead-up to these kinds of partnerships. “And I don’t mean in order to warm critics up to the idea, but rather to create a safe and trusted ecosystem. Feedback and accountability are really key to this.” He also highlighted that humanitarian organizations are not experts in advanced technologies and that it’s normal for them to bring in experts in areas that are not their forte. However, we need to remember that tech companies are not experts in humanitarian work and put the proper checks and balances in place. Bringing in a range of multidisciplinary expertise and distributed intelligence is necessary in a complex information environment. One possible approach is creating technology advisory boards. Another way to ensure more transparency and accountability is to conduct a human rights impact assessment. The next year will be a major test for these kinds of partnerships, given the growing concerns, he said. One Salon participant said that the fact that the humanitarian sector engages in partnerships with the private sector is not a surprise at all, as the sector has worked through Public-Private Partnerships (PPPs) for several years now and they can bring huge value. The surprise is that WFP chose Palantir as the partner. “They are not the only option, so why pick them?” Another person shared that the WFP partnership went through a full legal review, and so it was not a surprise to everyone. However, communication around the partnership was not well planned or thought out and the process was not transparent and open. Others pointed out that although a legal review covers some bases, it does not assess the potential negative social impact or risk to ‘beneficiaries.’ For some the biggest surprise was WFP’s own surprise at the pushback on this particular partnership and its unsatisfactory reaction to the concerns raised about it. The response from responsible data advocates and the press attention to the WFP-Palantir partnership might be a turning point for the sector to encourage more awareness of the risks in working with certain types of companies. As many noted, this is not only a problem for WFP, it’s something that plagues the wider sector and needs to be addressed urgently. It’s not only WFP that is putting information into SCOPE, said one person. “Food insecure people have no choice about whether to provide their data if they wish to receive food.” Thus, the question of truly ‘informed consent’ arises. Implementing partners don’t have a lot of choice either, he said. “Implementing agencies are forced to input beneficiary data into SCOPE if they want to work in particular zones or countries.” This means that WFP’s systems and partnerships have an impact on the entire humanitarian community, and therefore these partnerships and systems need to be more broadly consulted about with the wider sector. The optical and reputational impact to organizations aside from WFP is significant, as they may disagree with the Palantir partnership but they are now associated with it by default. This type of harm goes beyond the fear of exploitation of the data in WFP’s “data lake.” It becomes a risk to personnel on the ground who are then seen as collaborating with a CIA contractor by putting beneficiary biometric data into SCOPE. This can also deter food-insecure people from accessing benefits. Additionally, association with CIA or US military has led to humanitarian agencies and workers being targeted, attacked and killed. That is all in addition to the question on whether these kinds of partnerships violate humanitarian principles, such as that of impartiality. “It’s critical to understand the role of rumor in humanitarian contexts,” said one discussant. “Affected populations are trying to figure out what is happening and there is often a lot of rumor going around.” So, if Palantir has a reputation for giving data to the CIA, people may hear about that and then be afraid to access services for fear of having their data given to the CIA. This can lead to retaliation against humanitarians and humanitarian organizations and escalate their risk of operating. Risk assessments need to go beyond the typical areas of reputation or financial risk. We also need to think about how these partnerships can affect humanitarian access and community trust and how rumors can have wide ripple effects. The fact that UN agencies have immunities and privileges, means that laws such as the EU’s General Data Protection Regulation (GDPR) do not apply to them and they are left to self-regulate. Additionally, there is no common agreement among UN Agencies on how GDPR applies, and each UN agency interprets it on their own. As one person noted “There is a troubling sense of exceptionalism and lack of accountability in some of these agencies because ‘a beneficiary cannot take me to court.’” An interesting point, however, is that while UN agencies are immune, those contracted as their data processors are not immune — so data processors beware! Another question arises: What happens when there is scope creep? Is Palantir in essence “grooming” the sector to then abuse data it accesses once it’s trusted and “allowed in”? Others pointed out that the grooming has already happened and Palantir is already on the inside. They first began partnering with the sector via the Clinton Global Initiative meetings back in 2013 and they are very active at World Economic Forum meetings. “This is not something coming out of the Trump administration, it was happening long before that,” said one person, and the company is already “in.” Another person said “Palantir lobbied their way into this, and they’ve gotten past the point of reputational challenge.” Palantir has approached many humanitarian agencies, including all the UN agencies, added a third person. Now that they have secured this contract with the WFP, the door to future work with a lot of other agencies is open and this is very concerning. We’re in a new political economy: data brokerage. Can this example push the wider sector to do better? Another said that we need more transparency across the sector on these partnerships. “What is our process for evaluating something like this? Let’s just be transparent. We need to get these data partnership policies into the open. WFP could have simply said ‘here is our process’. But they didn’t. We should be working with an open and transparent model.” Overall, there is a serious lack of clarity on what data sharing agreements look like across the sector. One person attending the Salon said that their organization has been trying to understand current practice with regard to data sharing, and it’s been very difficult to get any examples, even redacted ones. In closing we discussed what needs to happen next. One person noted that in her research on Responsible Data, she found a total lack of capacity in terms of technology at non-profit organizations. “It’s the Economist Syndrome. Someone’s boss reads something on the bus and decides they need a blockchain,” someone quipped. In terms of responsible data approaches, research shows that organizations are completely overwhelmed. “They are keeping silent about their low capacity out of fear they will face consequences,” said one person, “and with GDPR, even more so”. At the wider level, we are still focusing on PII as the issue without considering DII and group rights, and this is a mistake, said another. Our December 2015 Technology Salon discussion in NYC focused on approaches to girls’ digital privacy, safety and security. By extension, the discussion included ways to reduce risk for other vulnerable populations. Our lead discussants were Ximena Benavente, Girl Effect Mobile (GEM) and Jonathan McKay, Praekelt Foundation. I also shared a draft Girls’ Digital Privacy, Safety and Security Policy and Toolkit I’ve been working on with both organizations over the past year. Social media sites: Open, Closed, Private, Anonymous? Salon participants working with vulnerable populations said that they moderate their sites very closely and remove comments if users share personal information or use offensive language. “Some project budgets allow us to have a moderator check every 2 hours. For others, we sweep accounts once a day and remove offensive content within 24 hours.” One discussant uses moderation to educate the community. “We always post an explanation about why a comment was removed in order to educate the larger user base about appropriate ways to use the social network,” he said. Another participant noted that they use their safe, closed youth platform to educate and reinforce messaging about what is safe and positive use of social media in hopes that young people will practice safe behaviors when they use other platforms. “We know that education and awareness raising can only go so far, however,” she said, “and we are not blind to that fact.” She expressed concern about risk for youth who speak out about political issues, because more and more governments are passing laws that punish critics and censor information. The organization, however, does not want to encourage youth to stop voicing opinions or participating politically. Another question was related to using and keeping girls’ (and others’) data safe. “Consent to collect and use data on a website or via a mobile platform can be tricky, especially if we don’t know how to explain what we might do with the data,” said one Salon participant. Others suggested it would be better not to collect any data at all. “Why do we even need to collect this data? Who is it for?” he asked. Others countered that this data is often the only way to understand what people are doing on the site, to make adjustments and to measure impact. Policy guidelines related to aspects such as responsible data for NGOs, data security, privacy and other aspects of digital security in general do exist. (Here are some that we compiled along with some other resources). Most IT departments also have strict guidelines when it comes to donor data (in the case of credit card and account information, for example). This does not always cross over to program-level ICT or M&E efforts that involve the populations that NGOs are serving through their programming. General awareness around digital security is increasing, in part due to recent major corporate data hacks (e.g., Target, Sony) and the Edward Snowden revelations from a few years back, but much more needs to be done to educate NGO staff and management on the type of privacy and security measures that need to be taken to protect the data and mitigate risk for those who participate in their programs. There is an argument that NGOs should have specific digital privacy, safety and security policies that are tailored to their programming and that specifically focus on the types of digital risks that girls, women, children or other vulnerable people face when they are involved in humanitarian or development programs. data privacy and security –using approaches like Privacy by Design, setting limits on the data that is collected, achieving meaningful consent. platform content and design –ensuring that content produced for girls or that girls produce or volunteer is not putting girls at risk. partnerships –vetting and managing partners who may be providing online/offline services or who may partner on an initiative and want access to data, monetizing of girls’ data. monitoring, evaluation, research and learning (MERL) – how will program implementers gather and store digital data when they are collecting it directly or through third parties for organizational MERL purposes. To demonstrate some of the trade-offs and decisions required when working with vulnerable girls, he gave examples of how the current project (implemented with girls’ privacy and security as a core principle) differed from that of a commercial social media platform and advertising campaign he had previously worked on (where the main concern was the reputation of the corporation, not that of the users of the platform and the potential risks they might put themselves in by using the platform). One discussant highlighted the importance of having privacy, safety and security policies before a project or program begins. “If you start thinking about it later on, you may have to go back and rebuild things from scratch because your security holes are in the design….” The way a database is set up to capture user data can make it difficult to query in the future or for users to have any control of what information is or is not being shared about them. “If you don’t set up the database with security and privacy in mind from the beginning, it might be impossible to make the platform safe for girls without starting from scratch all over again,” he said. He also cautioned that when making more secure choices from the start, platform and tool development generally takes longer and costs more. It can be harder to budget because designers may not have experience with costing and developing the more secure options. “A valuable lesson is that you have to make sure that what you’re trying to do in the first place is worth it if it’s going to be that expensive. It is worth a girls’ while to use a platform if she first has to wade through a 5-page terms and conditions on a small mobile phone screen? Are those terms and conditions even relevant to her personally or within her local context? Every click you ask a user to make will reduce their interest in reaching the platform. And if we don’t imagine that a girl will want to click through 5 screens of terms and conditions, the whole effort might not be worth it.” Clearly, aspects such as terms and conditions and consent processes need to be designed specifically to fit new contexts and new kinds of users. The Girls Privacy, Security and Safety policy and toolkit shared at the Salon includes a risk matrix where project implementers rank the intensity and probability of risks as high, medium and low. Based on how a situation, feature or other potential aspect is ranked and the possibility to mitigate serious risks, decisions are made to proceed or not. There will always be areas with a certain level of risk to the user. The key is in making decisions and trade-offs that balance the level of risk with the potential benefits or rewards of the tool, service, or platform. The toolkit can also help project designers to imagine potential unintended consequences and mitigate risk related to them. The policy also offers a way to systematically and pro-actively consider potential risks, decide how to handle them, and document decisions so that organizations and project implementers are accountable to girls, peers and partners, and organizational leadership. Take a look at our list of resources on the topic and add anything we may have missed! Thanks to our friends at ThoughtWorks for hosting this Salon! If you’d like to join discussions like this one, sign up at Technology Salon. Salons are held under Chatham House Rule, therefore no attribution has been made in this post. Maps should be less an “in-out tool“ and more part of a broader program. External agents should be supporting communities to articulate and to be full partners in saying, doing, and knowing what they want to do with maps. Digital mapping may not be better than hand drawn maps, if we consider that the process of mapping is just as or more important than the final product. Hand drawn maps can allow for important discussions to happen while people draw. This seems to happens much less with the digital mapping process, which is more technical, and it happens even less when outside agents are doing the mapping. A hand drawn map can be imbued with meaning in terms of the size, color or placement of objects or borders. Important meaning may be missed when hand drawn maps are replaced with digital ones. Digital maps, however, can be printed and further enhanced with comments and drawings and discussed in the community, as some noted. And digital maps can lend a sense of professionalism to community members and help them to make a stronger case to authorities and decisions makers. Some participants raised concerns about power relations during mapping processes, and worried that using digital tools could emphasize those. 3) The ethics of wasting people’s time. Community mapping is difficult. The goal of external agents should be to train local people so that they can be owners of the process and sustain it in the long term. This takes time. Often, however, mapping experts are flown in for a week or two to train community members. They leave people with some knowledge, but not enough to fully manage the mapping process and tools. If people end up only half-trained and without local options to continue training, their time has essentially been wasted. In addition, if young people see the training as a pathway to a highly demanded skill set yet are left partially trained and without access to tools and equipment, they will also feel they have wasted their time. When agencies, academics and mappers come in with their clipboards or their GPS units and conduct the same surveys and studies over and over with the same populations, people’s time is also wasted. Open digital community mapping comes from a viewpoint that an open map and open data are one way to make sure that data that is taken from or created by communities is made available to the communities for their own use and can be accessed by others so that the same data is not collected repeatedly. Though there are privacy concerns around opening data, there is a counter balanced ethical dilemma related to how much time gets wasted by keeping data closed. Related to the issue of time wasting is the common issue of a missing link between data collected and/or mapped, action and results. Making a map identifying issues is certainly no guarantee that the government will come and take care of those issues. Maps are a means to an end, but often the end is not clear. What do we really hope the data leads to? What does the community hope for? Mapping can be a flashy technology that brings people to the table, but that is no guarantee that something will happen to resolve the issues the map is aimed at solving. One way to ensure that there is a link between data and action is to identify stakeholders that have the ability to use, understand and re-interpret the data. One case was mentioned where health workers collected data and then wanted to know “What do we do now? How does this affect the work that we do? How do we present this information to community health workers in a way that it is useful to our work?” It’s important to tone the data down and make them understandable to the base population, and to also show them in a way that is useful to people working at local institutions. Each audience will need the data to be visualized or shared in a different, contextually appropriate way if they are going to use the data for decision-making. It’s possible to provide the same data in different ways across different platforms from paper to high tech. The challenge of keeping all the data and the different sharing platforms updated, however, is one that can’t be overlooked. 7) What does informed consent actually mean in today’s world? There is a viewpoint that data must be open and that locking up data is unethical. On the other hand, there are questions about research ethics and protocols when doing mapping projects and sharing or opening data. Are those who do mapping getting informed consent from people to use or open their data? This is the cornerstone of ethics when doing research with human beings. One must be able to explain and be clear about the risks of this data collection, or it is impossible to get truly informed consent. What consent do community mappers need from other community members if they are opening data or information? What about when people are volunteering their information and self-reporting? What does informed consent mean in those cases? And what needs to be done to ensure that consent is truly informed? How can open data and mapping be explained to those who have not used the Internet before? How can we have informed consent if we cannot promise anyone that their data are really secure? Do we have ethics review boards for these new technological ways of gathering data? It may seem like time wasting, and there may be privacy and protection questions, but there are are also ethical implications of not having community data. When tools like satellite remote sensing are used to do slum mapping, for example, data are very dehumanized and can lead to sterile decision-making. The data that come from a community itself can make these maps more human and these decisions more humane. But there is a balance between the human/humanizing side and the need to protect. Standards are needed for bringing in community and/or human data in an anonymized way, because there are ethical implications on both ends. 9) The problem with donors…. Some participants felt the need for greater donor awareness of these ethical questions because many of them are directly related to funding issues. As one participant noted, whether you coordinate, whether it’s participatory, whether you communicate and share back the information, whether you can do the right thing with the privacy issue — these all depend on what you can convince a donor to fund. Often it’s faster to reinvent the wheel because doing it the right way – coordinating, learning from past efforts, involving the community — takes more time and money. That’s often the hard constraint on these questions of ethics. Check this link for some resources on the topic, and add yours to the list. Many thanks to our lead discussants, Robert Banick from the American Red Cross and Erica Hagen from Ground Truth, and to Population Council for hosting us for this month’s Salon! The next Technology Salon NYC will be coming up in March. Stay tuned for more information, and if you’d like to receive notifications about future salons, sign up for the mailing list! The November 14, 2012, Technology Salon NYC focused on ways that ICTs can support work with children who migrate. Our lead discussants were: Sarah Engebretsen and Kate Barker from Population Council, and Brian Root and Enrique Piracés from Human Rights Watch. The Girls on the Move report (to be released in February 2013) will synthesize current evidence, incorporate results of specially commissioned research, illustrate experiences of migrant girls, provide examples of promising policies and programs, and offer concrete action-oriented recommendations. 1) How are migrant girls using ICTs? Extending social networks. In China and Southeast Asia, migrant girls are building and accessing personal networks through mobiles and texting. This is especially pronounced among girls who work long hours in tedious jobs in factories, and who do not have much time with family and friends. Text messaging helps them maintain connections with existing social networks. It also gives them space for flirtation, which may not be something they can do in their former rural context because of cultural norms that look down on flirtatious behavior. Finding new jobs. Both boys and girls use mobiles and text messaging for exchanging quick news about job openings. This suggests there could be an opening for program interventions that would connect to migrant children through texting, and that might supply information on community resources, for example, where to go in cases of threat or emergency—that might then propagate across migrant virtual networks. Sending remittances. Based on research with adolescent girls and drawing from examples of adult migrants, it seems likely that a vast majority of migrant girls save money and send it to their families. Evidence on how girl migrants are using remittances is limited, but a survey conducted in Kenya found that 90% of adult migrants had sent money home to families in other parts of Kenya via mobile phone in the 30 days before the survey. There is more research needed on adolescent girls’ remittance patterns. Research is also lacking on adolescent girls’ access to and use of mobile phones and on whether mobile phones are owned or borrowed from another person who is the handset owner. Remittances, however, as one participant pointed out, are obviously only sent by mobile in countries with functioning mobile money systems. Keeping in touch with family back home. In Western Kenya, migrant brides who are very isolated placed great importance on mobiles to stay in touch with family and friends back home. Facebook is very popular in some countries for keeping in touch with families and friends back home. In Johannesburg and Somalia, for example, one participant said “Facebook is huge.” Migrating adolescent girls and domestic working girls in Burkina Faso, however, do not have Internet access at all, via mobiles or otherwise. Child Protection Systems There is a general global move towards developing child protection systems that work for different kinds of vulnerable children. These efforts are important in the transit phase and right upon arrival as these phases are particularly risky for children who migrate. ICTs can play a role in managing information that is part of these systems. Ways to connect community child protection systems into district and national systems need more investigation. Reporting abuse and getting help One example of ways that ICTs are supporting child protection in India and several other countries is Child Help Lines. ChildLine India received almost 23 million calls as of March 2012, with 62% of callers between the ages of 11 and 18. The helplines provide vulnerable groups of children and youth with referrals to local services, and in the best cases they are public-private partnerships that link with national and state governments. Of note is that boys call in more often than girls, and this raises questions about girls’ access to phones to actually make a call to obtain support. It also points to the need for differentiated strategies to reach both boys and girls. Social exclusion and access is a specific challenge due to the pronounced social exclusion of many migrant girls, particularly those who are married or working in socially isolated jobs such as child domestic workers. Girls in these situations may not have any access to technology at all, including to mobile phones. Girls and women especially tend to have less access than men; they are often not the owners of devices. There is a research gap here, as no one actually knows how many migrating adolescent girls access mobiles and how many can borrow a phone for use. It is not clear if girls have their own phones, or if they are using an employer’s or a friend’s phone or a public call box. This would be a key factor in terms of working with adolescent girls and understanding risk and designing programs. Technology should build on – not be seen as a replacement for – social networks. Girls access to social capital is a huge underlying topic. There is normally a rupture in social networks when girls move. They become socially isolated and this puts them at great risk. Domestic girl workers leave home and become more vulnerable to exploitation — they have no friends or family around them, and they may not be able to access communication technologies. For this reason it is critical to understand that technology cannot replace social networks. 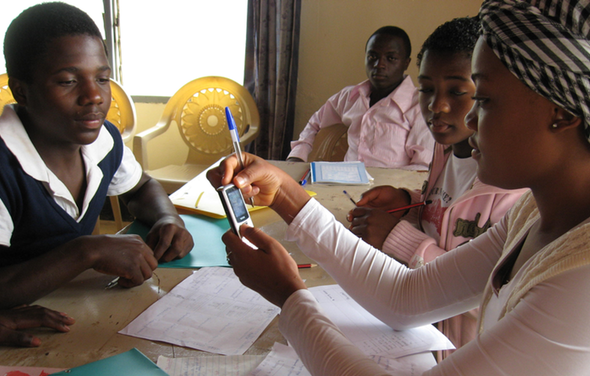 A social network is needed first, and then ICTs can allow girls to remain in touch with those in their network. It is very important to think about understanding and/or building social networks before pushing the idea of technology or incorporating technologies. SMS, anonymity and privacy. According to a study one participant was involved in, some children and youth report feeling that they can speak up more freely by SMS since they can text privately even in close quarters. Others noted that some organizations are incorporating online counseling services for similar reasons. A study in Nigeria is ongoing regarding this same topic, and in Southeast Asia it has been shown that girls often use text messages to flirt using an alternate identity. Retaliation. Concerns were raised regarding the possibility for retaliation if a child reports abuse or uses a mobile for flirting and the phone is confiscated. Practices of self-protection and message deleting are not very well implemented in most cases. 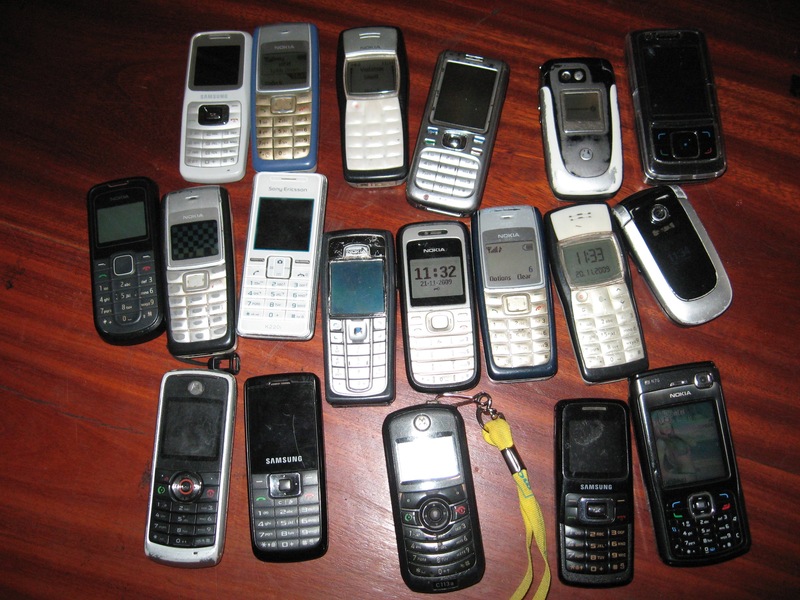 A participant noted that some of the low-end phones in Tanzania and Kenya periodically delete outgoing messages and only keep 15 messages on the phone at a time. This can help somewhat, though it is not a feature that is particularly aimed at protection and privacy, rather, it is more a function of low memory space. Safer Mobile is one initiative that looks at risk and privacy; however, like most efforts looking at risk, it is focused on political conflict and human rights situations, not at privacy and protection for child migrants or other types of abuse reporting that children may be involved in. Migration contexts. It was emphasized that migration during an emergency situation is very different from a voluntary migration, or seasonal migration. Work is being done around communication with disaster or emergency affected populations via the Communication with Disaster Affected Communities (CDAC) Network, but this theme does not seem to be one of widespread discussion among US-based NGOs and humanitarian organizations. Migrants are not necessarily disadvantaged however a bias exists in that researchers tend to look for disadvantage or those who are disadvantaged. They often ask questions that are biased towards showing that migrants are disadvantaged, but this is not always the case. Sometimes migrating children are the most advantaged. In some contexts migrating requires family support and funds to migrate, and those with the least amount of resources may not be able to move. In some cases migrant children have a huge, strong family structure. In others, children are escaping early marriage, their parents’ passing away or other difficult situations. Integrated information and data crossing. One issue with research around migrants is that most looks solely at migrants and does not cross migration with other information. Many girls migrate with the idea that they will be able to get an education, for example, but there is not a lot of information on whether migrating girls have more or less access to education. The literature tends to focus on girls in the worst situations. In addition, although there are 4 times as many internal migrants as there are international migrants, focus tends to be on international migration. In a second post, I will cover Human Rights Watch’s work on using data visualization to advocate for the rights of immigrants in the US. Many thanks to our lead discussants from the Population Council and to the Women’s Refugee Commission and the International Rescue Committee for hosting! The next Technology Salon NYC will be coming up in January 2013. Stay tuned for more information and if you’d like to receive notifications about future salons, sign up for the mailing list! Also, if you have research or examples of how child and youth migrants are using ICTs before, during or after their journey, or information on how organizations are using ICTs to support the process, please let me know. 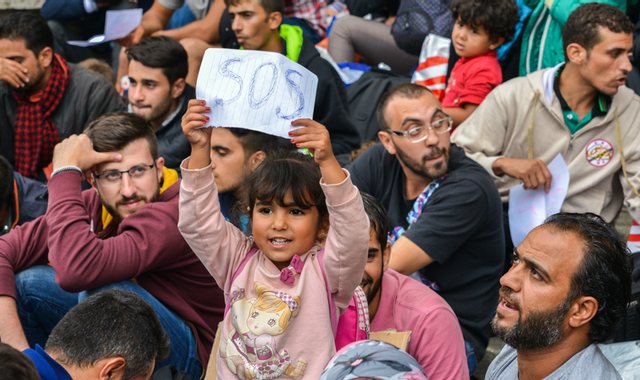 How can ICTs support and protect children who migrate? On August 14, @zehrarizvi and I co-hosted a Twitter chat on ways that ICTs can support and protect “children on the move,” eg., children and youth who migrate, are displaced, or move around (or are moved). Background information on the issue and the research. We discovered some new angles on the topic and some resources and studies that are out or will be coming out soon, for example an upcoming Girls Count study on Girls on the Move by Population Council, a UNHCR paper on ICTs and urban refugee protection in Cairo, and Amnesty’s Technology, People and Solutions work. Thanks to everyone who participated – whether you were actively tweeting or just observing. We hope it was as useful to you all as it was to us! If you think of anything new to add, please tweet it using #CoMandICT or email me at linda.raftree [at] planusa.org. Read the Storify version here (with a bonus picture of @chrisalbon holding up a ‘burner’ phone). Don’t know what a ‘burner’ phone is? Click and take a look.